Laughter ruffles from the cast and creative team members of The Winter’s Tale. Chiang is staging the second scene of the tricky, split-personality Shakespeare play, and her casual, inquisitive demeanor belies her deep knowledge of the material. One of Chiang’s strengths as a director is her trust in everyone she works with. The scene in her rehearsal, lit by unusually hot April sunlight, is intensely collaborative. “Feel free to challenge me, always,” she tells the actors, and they do, piping up with ideas and impulses. It’s a relaxed room, full of conversation, and when Chiang shifts gears back into the scene itself, the resulting performances feel nuanced and organic—a hallmark of her work. After rehearsal, Chiang sits in the center of a nearby Oregon Shakespeare Festival stage and the theatre fizzes as she describes her Winter’s Tale—set first in old-world China and then new-world America, an imagined utopia of multicultural immigrants and Manifest Destiny. Her speech is vulnerable, personal, magnified by the energy of a room full of Asian Pacific American theatre makers. 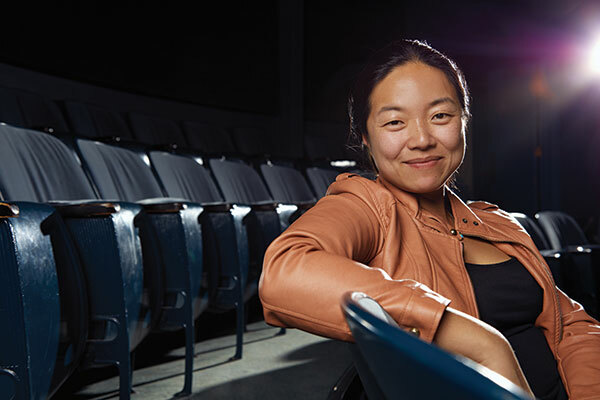 At 36, Chiang, a 2009 graduate of the University of Washington’s MFA in Directing program, is carving out a national directing career. She helmed the simple, crystalline Constellations at Seattle Rep earlier this year, is the co-founder of local theatre company Azeotrope, and now she’s directing one of OSF’s anchor shows of the summer, which opens at the venerable Ashland company’s outdoor Allen Elizabethan Theatre on June 2. Chiang is back in Ashland after a whirlwind trip to New York to accept a Vilcek Prize for Creative Promise, awarded each year to emerging artists and biomedical scientists from immigrant backgrounds (she moved from Taiwan to LA at age three). This is her fourth season working at OSF and first time directing a mainstage show for the company; she’s been a dramaturg and assistant director but this leap is a milestone for any emerging director.